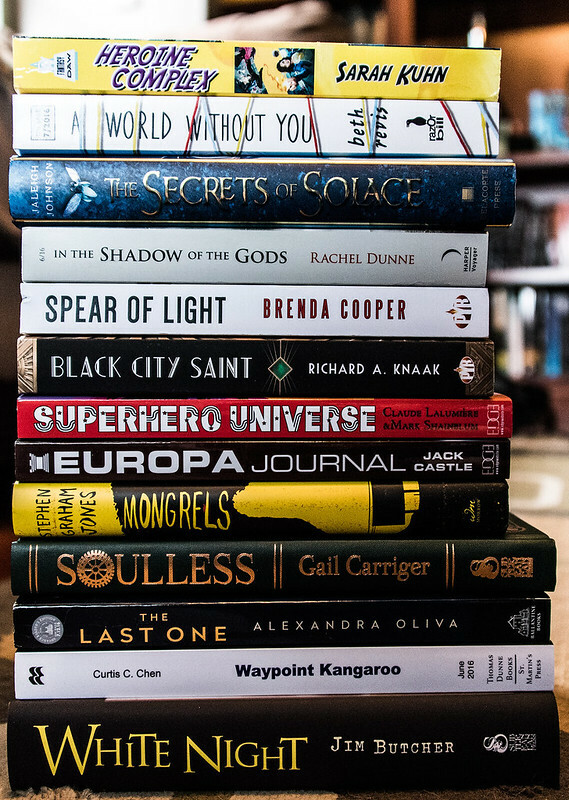 That’s right, we’re still working through the immense stack of new books and ARCs that have come into the Scalzi Compound recently. Some excellent books here, though, so this is not exactly a burden to do. What here excites your eyeballs? Tell us all in the comments! Looking forward to HEROINE COMPLEX. (And hoping it’s stage friendly so I can negotiate for stage rights). The Subterranean edition of White Night. Didn’t Soulless come out in 2009? Or is it just fancy new hardcopies? Excited about reading Waypoint Kangaroo. Curtis has a distinctive (and ironic) voice. I am interested in the Mongrels- always looking for a unique take on werewolves! At what point will the sheer information density of the books at your residence undergo gravitational collapse, forming a literary singularity? I’ve been waiting for Mongrels. Looking forward to Heroine Complex as well. Sarah Kuhn is going to be on book tour with Seanan McGuire and Amber Benson, which is going to be amazing! @hartjangling: It’s a new fancy Subterranean Press limited edition. Is HEROINE COMPLEX the one about the two best Asian friends, one of whom is a superheroine? If so, that’s the one I’m excited about. Gail Carriger’s SOULLESS is on my TBR list for this summer. Looking forward to reading Superhero Universe/Tesseracts 19. It’s co-edited by a friend of mine. Mongrels, definitely! Werewolves with a West Texas feel! I enjoyed meeting the author, Stephen Jones, at a book signing Saturday in Santa Fe. He’s a wealth of knowledge about werewolves. Should be an interesting book! Superhero Universe –cool! I’m in that one. Always thought those ARC books were new releases but now I see Jim Butcher’s White Night among the pile. I was very interested in Black City Saint after reading Knaak’s “Legend of Human” mumble-years ago. It had some very interesting concepts, but was really kind of middle of the road for me. “Soulless” is GREAT fun. If you’ve never read any of Gail Carriger’s stuff, you’re in for a Victorian, steampunk, fantasy treat of the first order! 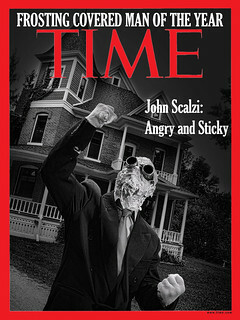 John Scalzi for President. We could do much worse, especially with our current options. Heroine Complex and Mongrels look like winners to me. Seconding what dhuff said! The Parasol Protectorate is great fun. There also seems to be some odd synchronicity in the stack with A World Without You and Secrets of Solace next to each other. I had to look up “Waypoint Kangaroo” and found a discussion of it on “Query Shark” – it seems the author has a great style of query letter. Made the book sound very entertaining, too. John, your little blurb said “we …”. Does Athena earn her pocket money by opening all the book deliveries and stacking them? I’m guessing you do the photography with the new camera but I’ve yet to see a scamperbeast on top of a pile getting a different view on the world. I got to read an early copy of “The Last One” by Oliva. It was a fantastic read! Oh! 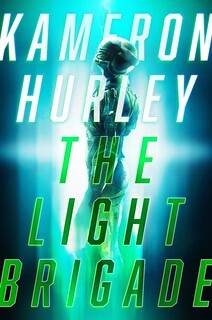 I want to read Waypoint Kangaroo!